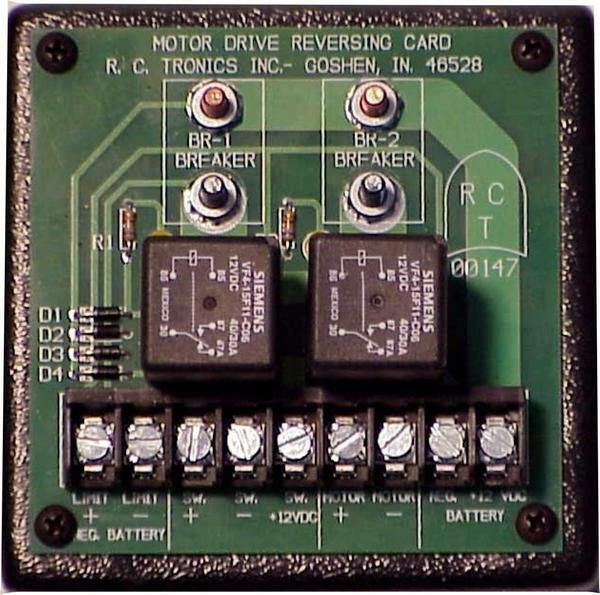 Motor Reversing Control, two wire, requires positive inputs for door operation. Door limits with negative inputs connected to this control. 12 VDC up to 30 ampere.